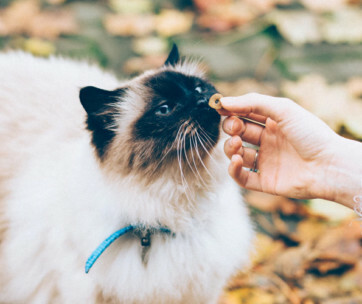 If you think only dogs can benefit from tasty treats, cats can also benefit especially if you give them the Temptations Mixups. It’s the kind of treat that cats will definitely fall in love with. 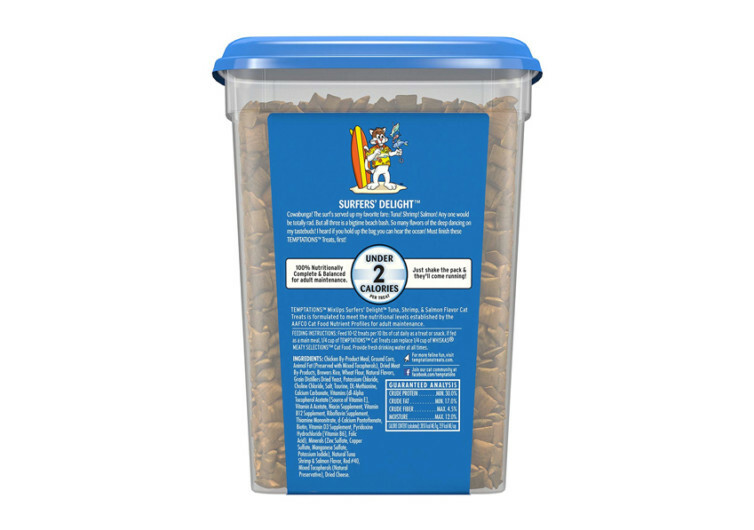 Technically, it’s not just any other cat treat; it’s a complete and well-balanced feline nutrition system that can very well replace your cat’s dry cat food. 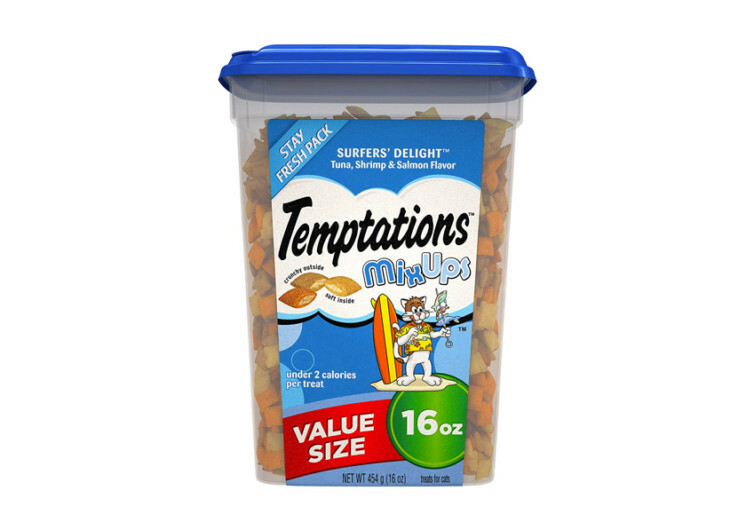 The Temptations Mixups is made of premium ingredients with chicken byproduct meal as its principal animal protein. It doesn’t stop there, though. It also includes salmon, shrimp, shellfish, and tuna, making it a surfer’s delight. The proteins inherent in these ingredients make up the 30% minimum crude protein that comes with each serving of the Mixups. This is in addition to the 17% minimum crude fat that Temptations Mixups provide. This is courtesy of the fats already contained in the meat ingredients. Vitamins and minerals have been included into the formulation to help enhance the various physiologic processes of your cat. 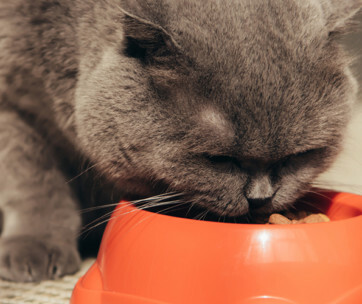 From its eyes right down to the coat and skin, you can be sure that the Temptations will provide the exact nutrients that your kitty needs. 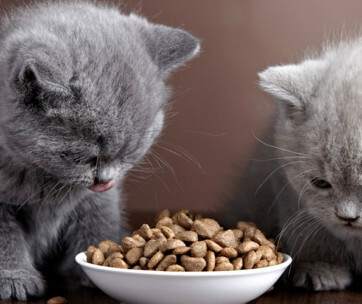 The Temptations can be given as cat treat or as main meal. 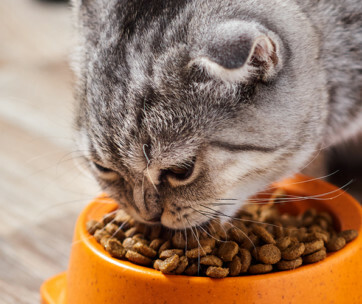 If it is to be used as a feline treat, then its calorie, protein, and fat content should be subtracted from the total daily intake of your pet. This is to make sure your kitty doesn’t end up like Garfield or any of the fat cat that we are all familiar with. 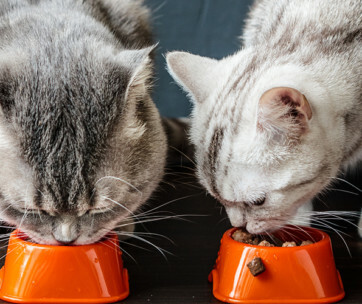 As already mentioned, it can also replace your conventional dry cat food, giving your pet a gourmet meal that embodies the best bounties of the ocean. 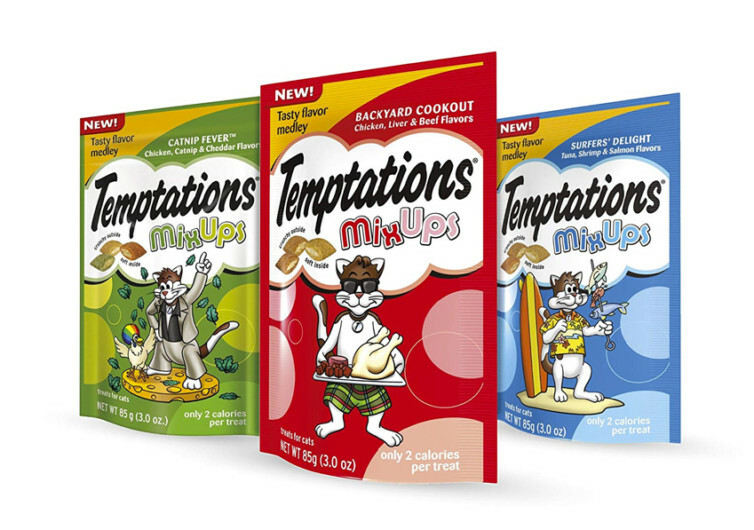 The Temptations Mixups is a versatile kitty food that can work as a treat or as a full meal. 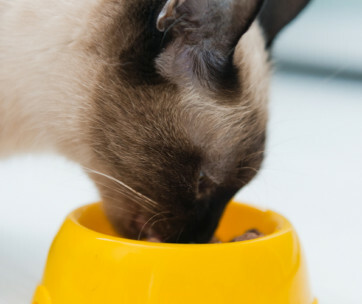 It’s well-balanced and provides complete nutrition for your adult kitty.